Getting children into a good tooth care routine is really important from an early age. Since Mia got her first tooth through and was able to stand on her step at the sink, we have tried to get her into the routine of cleaning her teeth every morning and evening. At first she was really interested in brushing her teeth and we had no issue whatsoever as long as we used fruit flavoured toothpaste! However after a few weeks the novelty wore off and since then it was a bit of a battle at bedtime to get her to do them properly (mornings aren’t an issue?!). We tried taking her to the shop to choose her own toothbrush and toothpaste and we even bought her a children’s electric toothbrush just like ‘mummy and daddy’s’ to see if we could get her interested in brushing her teeth again. 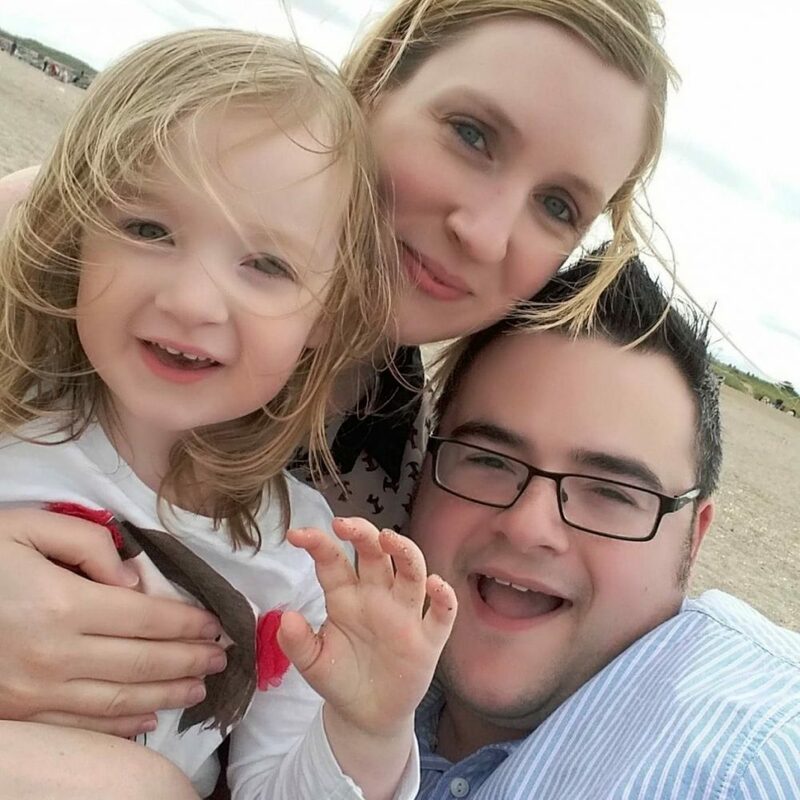 The electric toothbrush worked for quite a few months but then once she hit 3 years old and decided she was going to be her own boss….the fights over brushing her teeth at bedtime started again! 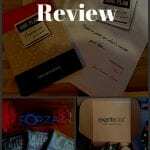 When Aquafresh got in touch to see if we would like to try out the Aquafresh BrushTime App and children’s toothpaste, I was really interested in seeing if we could finally crack Mia’s dislike of brushing her teeth! Aquafresh is one of the leading brands of toothpaste around, and developed in 1973 it is known for its distinctive striped appearance. The Aquafresh website has lots of great information about how to care for your child’s teeth and tips for making sure their oral health is up to scratch! 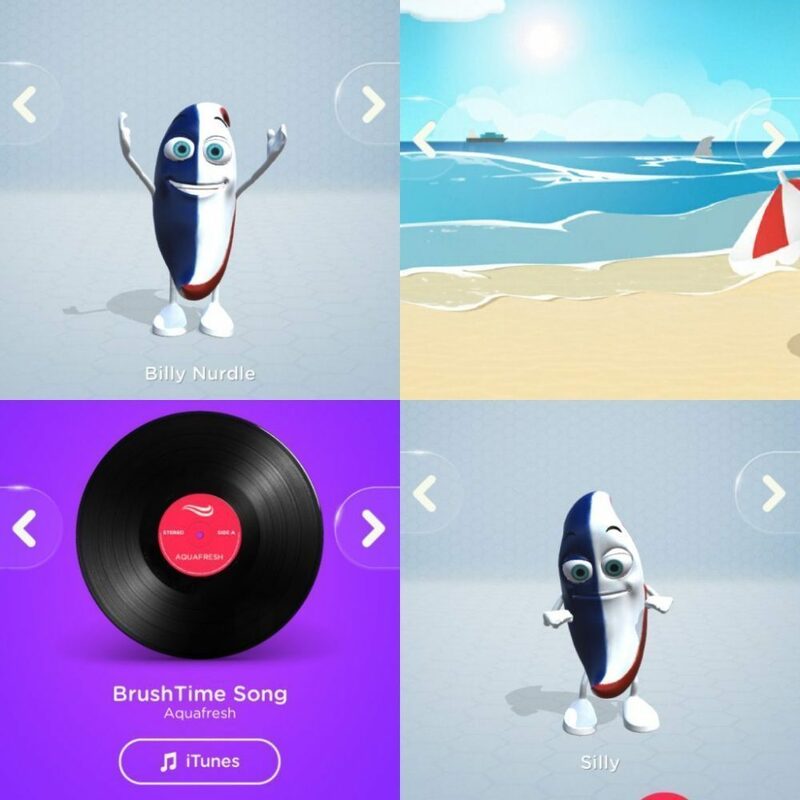 The Aquafresh Brush Time App is a great way to support your child when taking care of their teeth. Designed to be launched anytime they are brushing their teeth, it includes a catchy tune, various Aquafresh characters and a great 2 minute timer for your child to brush along to. Each time your child uses the Brush Time App to help brush their teeth, they unlock special features which include different song choices, backgrounds, dances, and even new characters! Mia absolutely loves ‘Billy Nurdle’ and we currently have him set to do the ‘silly dance’ alongside the ‘BrushTime Song’. 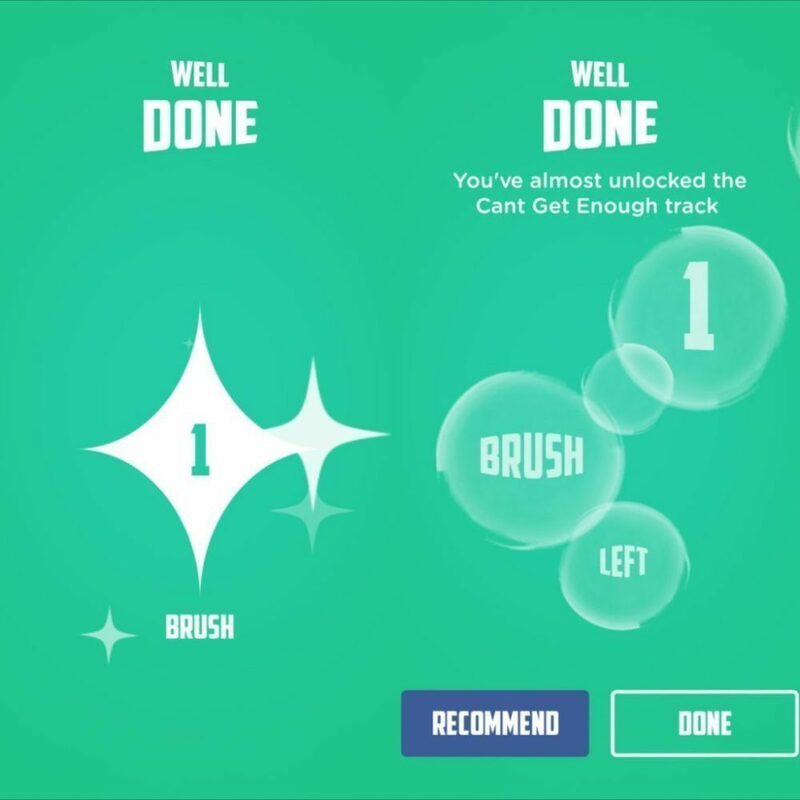 Within the App your child can see how many brushes they have left until they unlock the next special feature and Mia loves this as she can see what she needs to do to get the next song or the next dance. 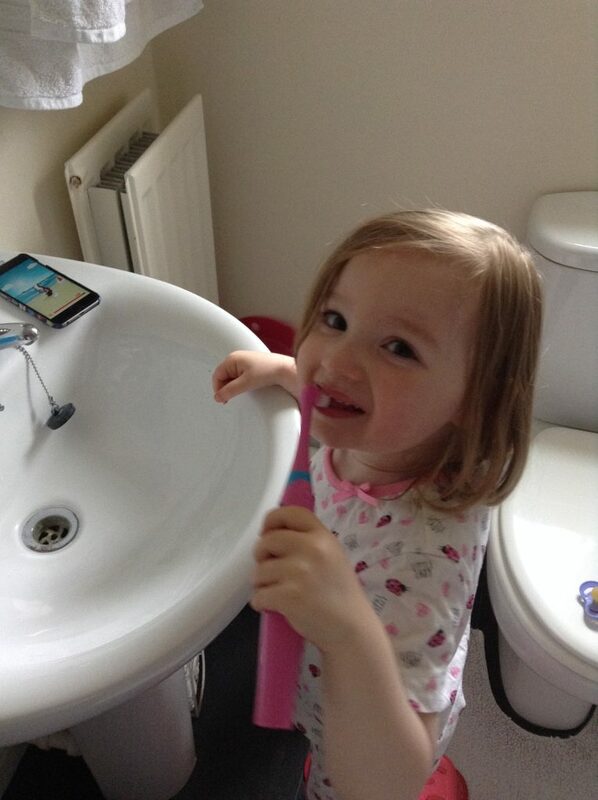 The ‘BrushTime Song’ itself is really catchy and we often hear Mia singing it even when she isn’t brushing her teeth! Once the BrushTime App is started there is a short intro (skippable!) which explains why we need to brush our teeth and how to do them properly. Mia is a bit young for this however it’s something she would be able to follow very soon. Then you can choose to personalise your settings or start brushing! Once you are ready to start brushing, your child’s chosen character can be seen dancing along to the song with a 2 minute timer at the bottom counting down how much brushing time is left for them. It took Mia a few attempts to recognise that it’s a countdown but now she’s used to it, she knows when she is nearly finished brushing and it holds her attention really well. 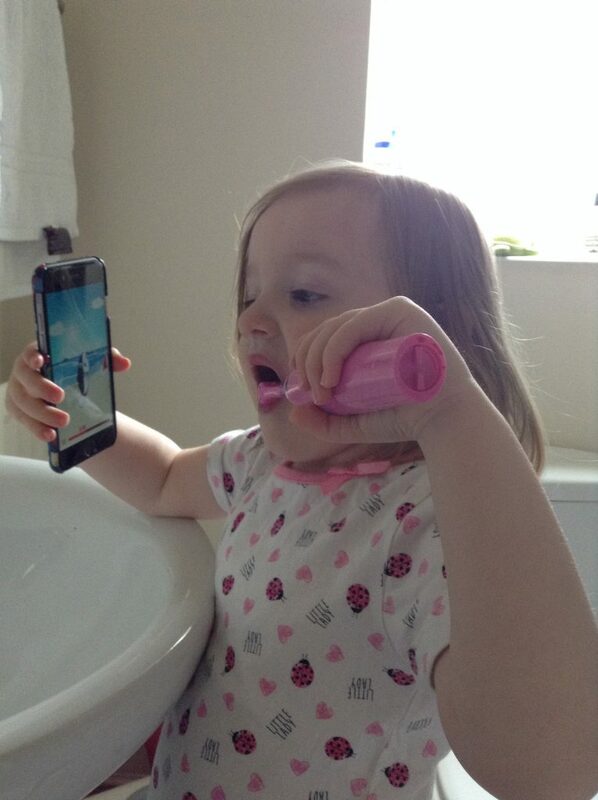 We haven’t had any trouble getting her to brush her teeth and if I forget to pop the App on, she reminds me, asking for her ‘brushing song’! 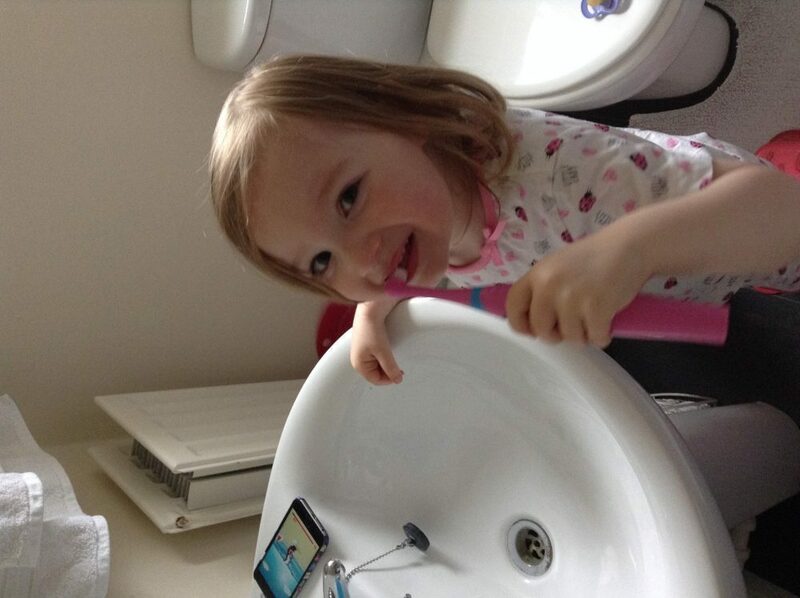 The App makes my job easier knowing how long she has been brushing for and knowing she is learning how important it is for her to brush her teeth well. I just have to watch her to make sure she brushes them all properly now! 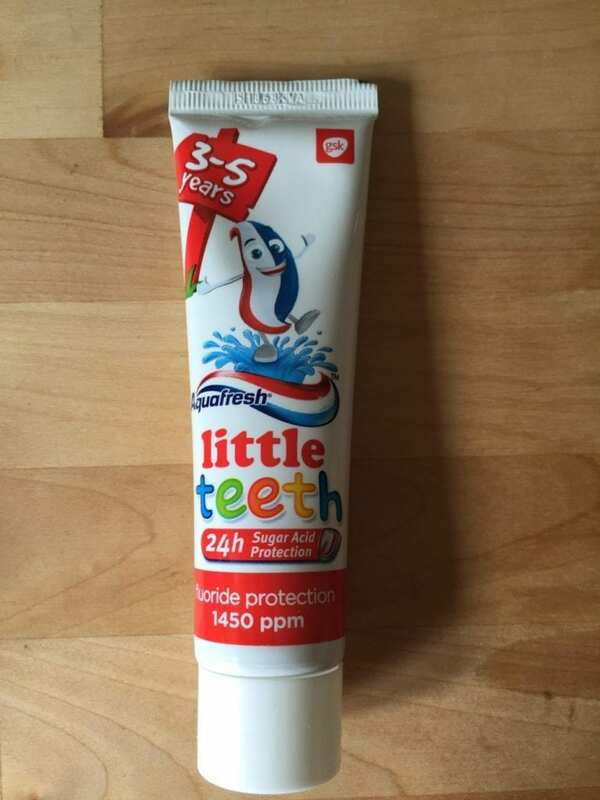 As well as the BrushTime App we were sent a tube of Little Teeth toothpaste for Mia’s age (RRP £1.55). At first I wasn’t sure that she would like the mild minty taste as we had struggled previously however she popped some on her toothbrush straight away and has used it ever since! 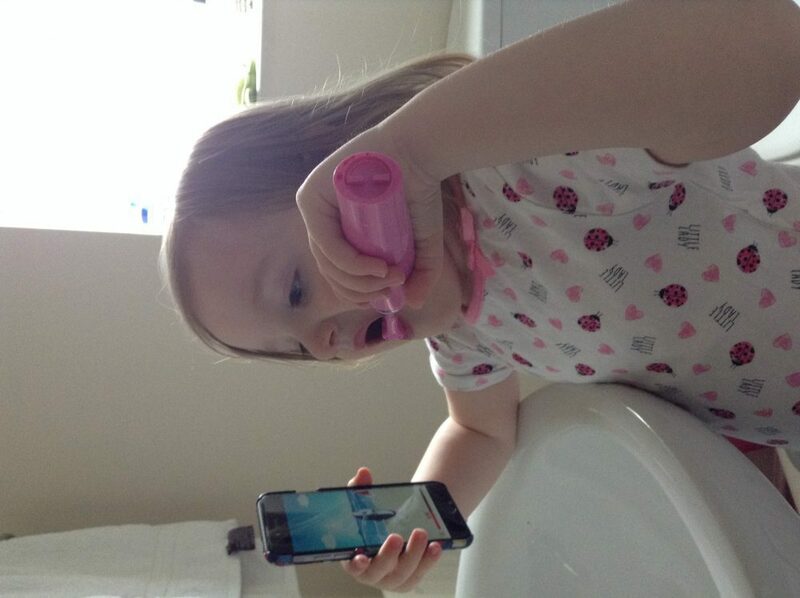 It seems that teamed with the BrushTime App, she will do anything! 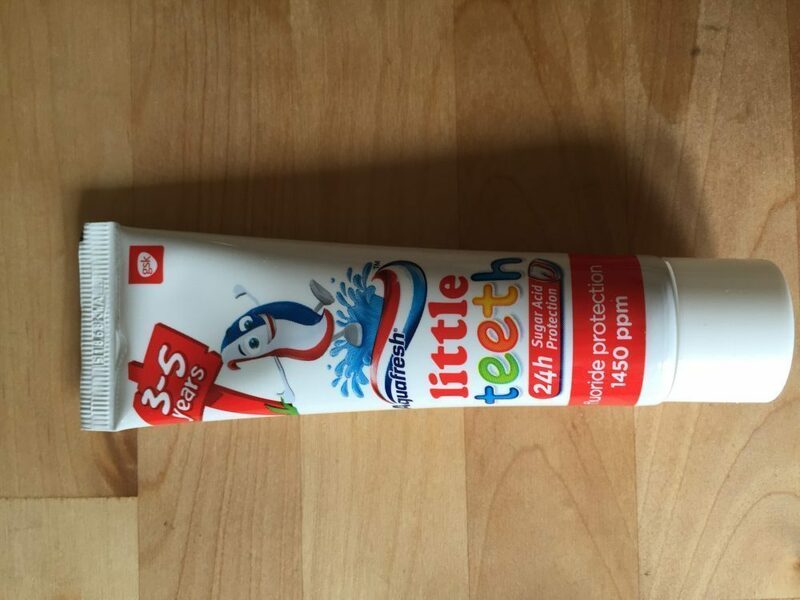 There is also a 0-2 years toothpaste and a 6+ years toothpaste available. 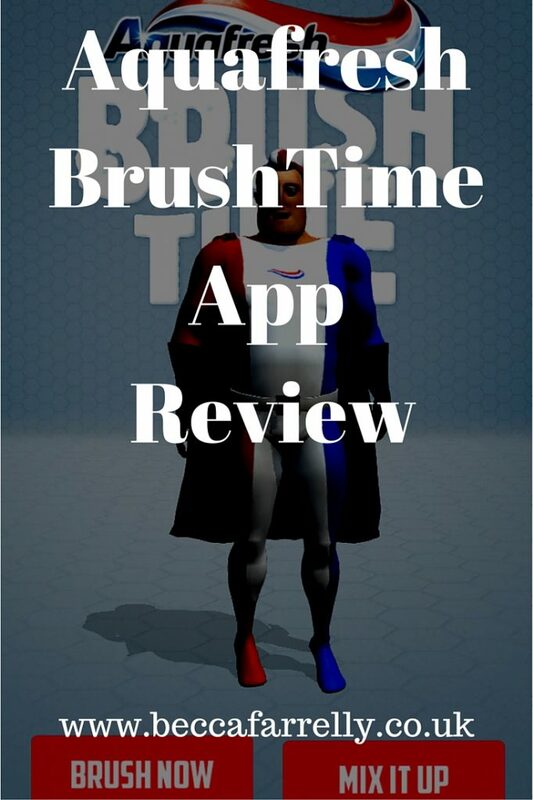 The BrushTime App is currently available for free on the App Store and Google Play and has been a great addition to Mia’s tooth bushing routine. We will definitely be using it for a long time to come!